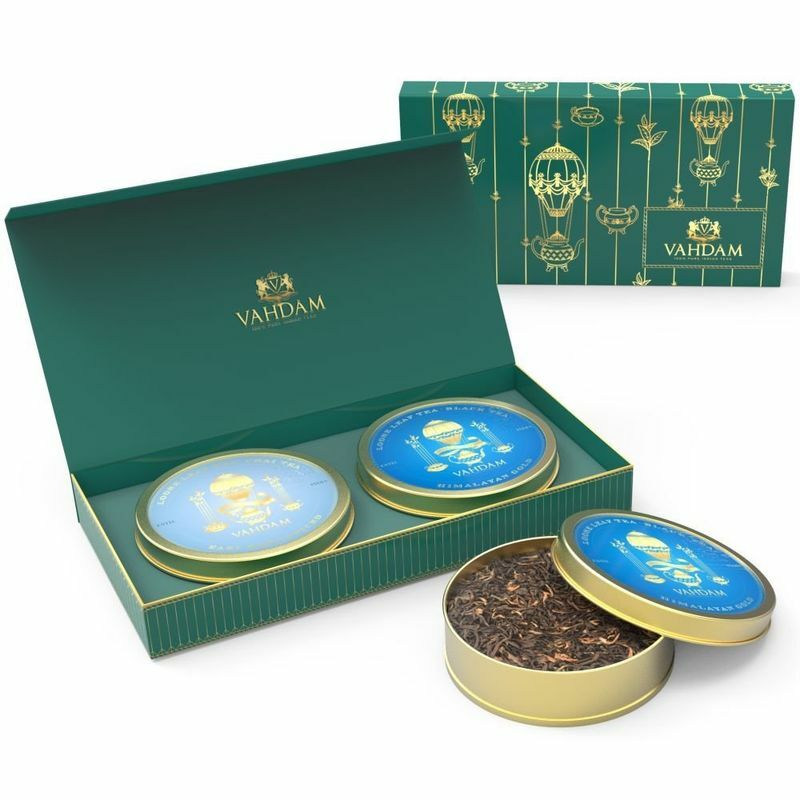 Crafted to cater to the discerning taste-buds of the tea planters, this Tea Master's Private Reserve Duo is a particular favourite among Vahdam's in-house master blenders who spent weeks putting each of them together and have been proud to witness their global success. Both the best-selling teas, Himalayan Gold Black Tea & Earl Grey Chai Tea, have found a distinguished space in tea cupboards around the world. Together these two teas make a formidable gift that speaks of respect and splendid taste.